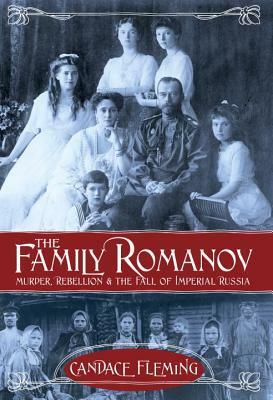 The history of the fall of Tsarist Russia and how the stage was set for a Stalinist Communist take-over is told through an intimate look at the family of Russia’s final Tsar, Nicholas II, and through the stories of the beaten-down peasants and workers who toiled to survive under his cruel reign. In this excellently researched and written book, history is told in a style that combines informative with riveting and emotionally wrenching. The personal life of Tsar Nicholas II is laid bare. Pathetically unsuited for the task, the Tsar wanders between dangerous inaction and ill-advised, brutal crackdowns that fuel the flame of the Russian revolution. His family is insulated, spoiled, out-of-touch, and just weird. The misery of the Russian workers and peasants knows no bounds. Their stories are interwoven, told in stark terms in the words of those who manage to survive the horror. The arc of the Russian revolution and the mess that led to the country being passed from cruel royalty to vicious dictator becomes disturbingly clear. 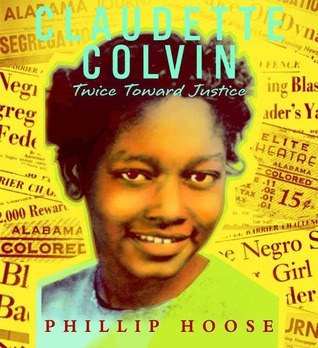 More fascinating that most novels, this history book should be an easy sell to teen and adult readers alike. I cannot even get my mind around the numbing desperation of Russian peasant life. I don’t ever want to be a Russian peasant. Or deposed royalty for that matter. Nicholas II was certainly prone to monstrous behavior, but this book also – to my great fascination – makes him quite the object of pity. It seems like he could have been a fairly decent, somewhat peculiar guy if he has been born a modern middle class American, allowed to have a little job and dote on his wife and family. 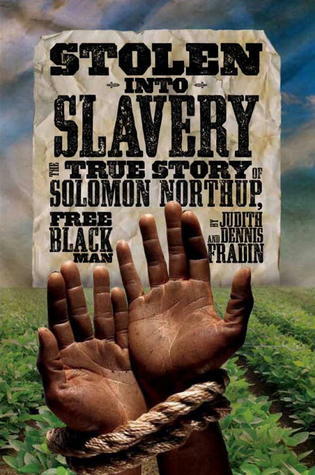 Solomon Northup was born a free black in New York and lived as a free black man for 33 years. In 1841, he was drugged, kidnapped, and sold to a slave trader. He survived 12 years of slavery in Louisiana before finding a way back to his wife and 3 children in New York state. Humans of capable of doing terrible, terrible things. Solomon Northup was a husband, a father, and a free black man. In 1841, he was looking for work and made a connection to two white men who said they wanted to hire him to play his violin – an instrument he played with great skill – for a circus down the road. They traveled with him, ate with him, and gained his trust. They even helped him obtain papers proving he was a free man before the trio crossed into slave territory – Washington D.C. But the two men were just scheming. When they arrived in the nation’s capital, they carried out their real plan. They drugged Solomon and sold him to a slave trader for $650. Solomon was not alone. Thousands of free blacks were stolen and illegally sold as slaves in the years before the Civil War and the abolition of slavery. There were laws against this, but as Solomon found, once he was in the hands of the slavers, he had no rights and no way of accessing the legal system. Solomon’s story – unlike the stories of many of these stolen lives – is known because after 12 years of living in slavery, he found a way to make contact and return to his home. In 1853, he published a book about his ordeal. That book is the basis for this story, which lays in out a simple narrative how it happened, how he survived, and all that Solomon had to endure. It is the story of one man’s experience that increases understanding about the depth of the legacy of shame left by our nation’s slave past.